It was only yesterday, that we discussed a plea to ban Gita in Siberia. As many of you would have read it, the Siberian Court has dismissed the plea. I don’t want to take any credit for the dismissal of the plea (!) just as I don’t want to give the Government the credit, as it is an International law, which does not allow any court in the world to ban any religious book. However, the point in discussion today stems from the same thought-process and similar accusations that have been levelled against the epic, Mahabharata. 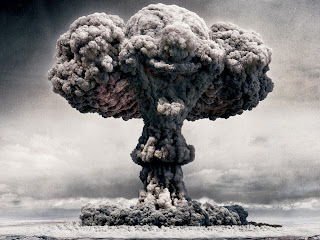 In reference to the Trinity test of Atomic Bomb in New Mexico, the father of atomic bomb, Robert Oppenheimer, famously recalled the Gita: “If the radiance of a thousand suns were to burst at once into the sky that would be like the splendour of the mighty one. . . . Now I am become Death, the destroyer of worlds.” In the war of Kurukshetra, there is reference to weapons which can be seen as todays Nuclear weapons or weapons of mass destruction (WMD). If such weapons were used during the war of Kurukshetra, does it mean that the epic or the ‘champion of the war’, Lord Krishna gave a sanction to such usage? In view of the latest controversy of banning the Gita in Siberia, could it be seen that such usage had a sanction in what is now being termed as ‘extremist literature’? It is said that Oppenheimer made the statement when he saw the huge cloud of the blast reaching out to the skies. Oppenheimer was a scholar who in his 20s had learnt Sanskrit, besides many languages and considered Bhagavad Gita to be the foundation of his philosophical views. He had kept a copy of the Bhagavad Gita on his bookshelf and is supposed to have been giving copies of Gita to his friends as gifts. The importance of Gita stems from its prescribed value of human life and fighting for its maintenance and resurrection. Human beings of those times, perhaps, not only knew how to destroy but also realised the peaceful use of WMDs. The rules contained in the war of Kurukshetra governed issues ranging from the general prohibition of the use of weapons that caused unnecessary pain, to overcoming the enemy, to the treatment of the enemy’s property and persons in the conquered territory. If the modern laws of war were to require that when war breaks out fighting must be conducted on the basis of ‘like with like’ or by using like weapons, it would not only minimise the impact of war but would also deter aggression and make war more humane. I think our world would be a better place to live in, if the modern laws of war based on the Geneva Conventions were to incorporate some of the rules followed in Kurukshetra! The concept of a just war was against the evil characters of that day, whether national or alien. In simple terms, the concept of a just war is based on right and wrong, on justice and injustice in the everyday life of all mortals. 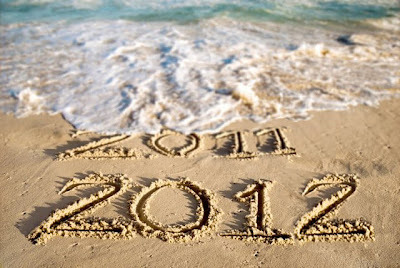 Unlawful and unjust actions, for example, the denial of the rights to which one was entitled, give rise to just wars. This brings us to the point of the use of WMDs (called divyastra e.g. Brahmastra and Pashupatiastra) in the battle of Kurukshetra. Before Arjuna acquired the divyastras from the respective gods, he was strictly advised by them to use it as a “threat weapon” rather than a weapon to be actually used in the war. There are extensive dialogues between various characters in the war of Kurukshetra on not using the divyastras which were the ultimate weapons that any warrior could then possess. At the end of the epic war, when Aswathama, son of Drona, frustrated by defeat in war used such weapon he was cursed by Lord Krishna, and the same was diffused by him to result in minimal devastation. Besides the numerous references of such weapons, using them was never an alternative then and nor does Gita advocate such weapons, rather it has chastised the single use of such weapon. The problem lies in interpretation out of context. One of the most important things to keep in mind is the times and the rationale of such writings. When was it written and in what context? If we look back at the times of the Mahabharata, then many things might look normal, but the same things in the modern context would seem out of place and at times quite sacrilegious. Again, when something is being said and some event is taking place, if seen in the chronology of events, it might seem justified. But the same scene out of context would seem as a misfit. What was right then need not be right now, when we have a different thinking which is tempered with a lot of modern concepts like – human rights, feminism, equal rights, etc. Take the essence of it, draw lessons from it and look for the symbolism in it. Don’t take it literally and above all, don’t debase such esteemed thought process with ignorance and an ulterior motive. Siberia is contemplating banning the Bhagavad Gita in Siberia on the grounds that it is ‘extremist literature’. Fact – Siberian Court is to take a decision of banning the book – “Bhagavad Gita – As It Is”, distributed by ISKCON, however, this might lead to the banning of all/any versions of Bhagavad Gita in general. Reason – it advocates war and this is ‘extremist literature’. Well I guess the Gita is extremist in the sense that it is radical, it is different, and it is revolutionary. Yes, it is all this, but not extremist in the current sense of its meaning i.e. it is not terrorist material! Yes, Gita does advocate a war. The recitation of the Gita takes place in the epic Mahabharata, on the battle field of Kurukshetra, when Arjuna declines from fighting the battle since all the ‘enemies’ were his relatives. It is then that Lord Krishna recites the Gita and gets him to fight the battle. Yes, Krishna did encourage Arjuna to fight the battle. So is it not promoting war? Herein lies the difference in the war of Kurukshetra and any other war. The war of Kurukshetra was not just a war for a piece of land. When seen in context, it was a war for the establishment of justice. All norms of civilised behaviour had been broken, all diplomatic efforts had been explored and every possible effort to avoid the war had been resorted to. This war itself was a consequence of immense greed and selfishness and a series of misdeeds towards mankind in general. The war was the last option and there was no going back to the discussion table (as per the corporate jargon). The only choice one had was to have a just-war then or have an evil-war later on. With so much at stake, it was just right on the part of Lord Krishna to instil in Arjuna a sense of duty that simply dictates that there must not be any slackness in the actions performed in anticipation of the results. To see Gita as a treatise on war and peace only is missing the basic point. The basic principle of Gita recommends a war only for the protection of dharma in pursuit of karma (duty) of the addressee, and that too as a last option. The dharma, which encompasses more than the term ‘religion’, is primarily about karma or duty. The true implication of what Krishna told Arjuna in Gita was that the war was a quest for justice and the ultimate objective of the war, was preservation of mankind. Krishna did not support an un-equal battle, a war which was not a Dharmayuddha - or righteous war (as against a ‘religious’ war), without allocating the burden of karma (duty). Gita is not just a book, but a song of philosophy. If one reads it and understands it (both are two different activities), then one doesn’t have to know much else. Many read it as a ritual, but few understand the essence of it. Reading Gita is self-actualization – better known as ‘swadhyay’, but how many people can understand the simple meaning of this word and the work in general? Should we be worried about Siberia banning the book? My answer is why should we? Will banning the book by an obscure court of a Siberian town undermine the might of the book? Is the banning of the book not an act of utter illiteracy on the part of that Society? Isn’t it their loss, that they are keeping a section of the world population away from such a profound work of philosophy? But not raising a voice might be misconstrued as a weakness of the nation? Will it? Doesn’t the nation have priorities within rather than outside? Why allow some selfish politician to make the profound work of literature his dice to play with? Who are the people complaining – the ones who know nothing more than the spelling of the word ‘Gita’? Aren’t these the same people who themselves seek ban on books every now and then? Aren’t these the same people who wouldn’t hesitate to burn any other work of literature, when it would suit them? Will it not hurt our national pride? Will it? Where does our national pride go when the world sees our parliamentarians hurling missiles at each other in the august parliament of ours? Where does our national pride go when we see state-sponsored-hooliganism unleashed on our national heritage like museums and other artefacts? Where does our national pride go when the world observes our abysmal state of preparation for international events and the level of service standards? So should we let go and not protest and raise our voices? Yes we should protest and raise our voice. But raise it for the right reason. Raise your voice against the fundamentals – banning any work of literature. Protest against the ban which does not allow debate and discourse. Protest against the ban which does not allow a different cultural view point to coexist with the local. Protest against the ban which does not allow others to read a class of literature just because some parochial viewpoint has been given precedence against a more culturally inclusive thought process. To conclude, I would like to quote Jesus Christ, from the Bible “Father, forgive them, for they do not know what they are doing.” (Luke 23:34). I guess that comes to me naturally because I have been brought up on the tenets of Gita which is a philosophy which the Siberians will be denied by their own courts of law! Many have said that in the epic Mahabharat, use of weapons of mass destruction has been promoted. We will see that next. Let me tell you two stories from mythology. When Lord Krishna was young, during his stay in Vrindavan, he and his friends used to go to play in the banks of the river Yamuna. Around that time, the water of the river was poisoned due to the presence of a deadly naga, known as Kaliya. Nobody could use the waters of the river and all marine life was either dead or driven away due to the poison of Kaliya. 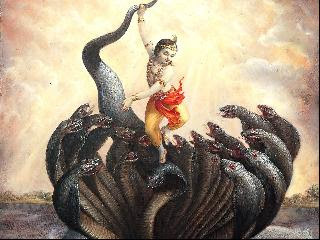 Kaliya was a ten headed snake and had been driven away from its home with his family due to its enmity with Garuda, the traditional enemy of all serpents. Once, Krishna while playing near the banks of the river, jumped into the river to fetch a ball which had fallen in the river, which to the onlookers seemed nothing less than suicidal. Deep in the river bed, the boy Krishna challenged the serpent which resulted in a battle between the unequal’s – i.e. the boy Krishna and the mighty ten headed snake. But soon the divine Krishna overpowered the snake and on the request of Kaliya’s wives, allowed them to go alive from there, but not before the people of Vrindavan saw the boy Krishna dance atop the hooded Kaliya. The other story is from the Greek myth of Hercules and his adventures. As part of the adventure, Hercules had to undergo twelve tasks and this story pertains to his second task. According to this myth, Hercules had to kill a water serpent with many heads, known as Hydra, which was threatening the nearby villagers. 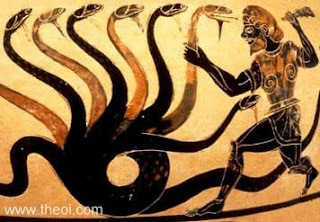 Hercules was the son of Zeus and one of his mortal lovers, while the Hydra was the result of the mating between a monster and a creature which was half snake and half woman. The major difficulty in killing the hydra was that if one of its head was cut, then two more would grow in its place, and one of the heads was immortal. To cut short the adventure, Hercules managed to kill the many headed monstrous snake by scorching the stump of the snake after cutting off each head before two could grow out there. Finally the immortal head was cut off with a golden sword and the same was put under a giant boulder, so that it could never raise its head again. Both the stories have a few things common and that is the many headed snake raising its hood to harass people and that it needed heroes to either control or kill them, both to eliminate the threat to mankind. Both the stories, details the acts of heroism and the battle of unequal. Both the animals were powerful and poisonous and in the earlier case the hero was a boy and in the second case, the hero was a mere mortal (though aided with divine intervention). Both these stories, though from different cultures, have a bearing on today. Today a fragile old man is fighting the menace of a many headed monster whose name is no more Kaliya or Hydra, but Corruption. The hero is not as divine as Krishna or as heroic as Hercules, but a frail old man with no bearings or trappings of a hero, rather a rustic simpleton called Anna Hazare. His war against corruption is not going to be what Krishna faced in Yamuna or Hercules faced in a mythical island. His war is tougher – what with the heads of the monster having spread all over the country. If he slays one, many come up elsewhere. If he tries to cut off one head, all the other heads come and hold him with ten times more power than earlier. The modern Hydra has thousands of heads and a lonely Hazare or his immediate circle of friends cannot to the mighty task. It is a battle of unimaginable inequality. He needs all of us, from every nook and corner of the country to support him and stand by him. Hazaare needs hazzaron (thousands) hands to kill the monster. Come one, come all and support the crusade against corruption. Let’s leave a clean country for our children. Let’s cleanse the Vrindavan of the poison spewed by the many headed monster called corruption perpetrated by the very people whom we have entrusted with governance, both past and present. 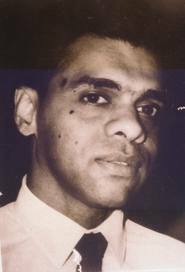 Many of the readers of my Blog have asked for the Original essay by AK Ramanujan. The Gonds are amongst the prominent tribes of Central India. One of their sub-tribe is the Baiga tribe. Both the tribes have a rich collection of folklores and stories, many of which have been collected and published by the likes of Verrier Elwin and Durga Bhagvat. The following folklore is from one of the stories collected by Durga Bhagvat as told to her by a Gond from Mandla in Madhya Pradesh, and is more commonly known as “The Lachhman Jati”. Before we get into the synopsis of a long story, it must be understood that the prime deity of these tribes was Mahadeo, who is depicted in the form of Shiva – here Ram is not a prominent deity. Further, the hero of this version is Lakshaman, (referred to as Lachhaman) and not Ram, and Sita is not the chaste woman as is the case of all the versions of Ramayana known to us! According to this folktale, Ram is playing dice with Mahadeo and on a particular day, he has forgotten his dice at home. Ram sends Lachhaman to his hut to go and bring the dice for him. When Lachhaman goes to get the dice, Sita is at home alone. Sita is enamoured with Lachhaman and is secretly in love with him. She asks Lachhaman to spend some time with her, but Lachhaman, a staunch celibate, does not agree to her evil designs. Sita is insulted and bolts the door trying to hold him in the room. But Lachhaman, breaks open the door and leaves. Sita is angry at this denial and decides to avenge the insult. She tears up her saree, and breaks her necklace and sits disheveled waiting for Ram. When Ram comes home, he sees the broken door and the disheveled Sita. On asking, Sita tells him that Lachhaman tried to make love to her! Ram gets angry and beats up Lachhaman. When Lachhaman pleaded his innocence, he was asked to prove his innocence by jumping into boiling oil. Lachhaman, come out of the oil absolutely unscathed, but feels insulted at not being asked and given a chance to explain. He leaves the hut in penance. He goes on a long expedition and this takes him through a series of adventure where the story keeps taking its twists and turns, all to show his heroism and brave acts. The story has a dramatic end. After Lachhaman leaves his brother and wife, they fall in hard times. Ram had to take up work with a potter and Sita had to collect fuel from the forest. When the heroic Lachhaman returns home he sees them in a sorry state and feels very bad. He changes everything and the old glory is brought back and in the end Lachhaman asks everybody that from then onwards, people should take the name of Ram with the same respect as Mahadeo! y As mentioned earlier, Ram is not the hero, rather the characterization of both Ram and Sita is quite poor to the extent that towards the end Ram is even punished by having to work as a menial at the potters and Sita is made to collect sticks in the jungle. y Sita is quite contrary to what we have read till now and is shown here as scheming and has her sight on Lachhaman, her brother-in-law. It is important to mention here that in the tribes of Central India, illicit relationship between a woman and her brother-in-law (devar-bhabi) is quite common and there are a number of folk-songs which mention this relationship both overtly and covertly. This is also a common theme of many folk-stories across the belt. This could just have been taken up to show the relationship in bad light and condemn it – what many scholars term as the ‘process of sanskritisation’ whereby people try to follow the norms of the civilized society by giving up their uncivilized and unacceptable behaviour. y There is no mention of Ravana here, though during the course of Lachhaman’s adventure, some evil characters are mentioned, but bear no semblance to Ravana. y Hanuman is a minor character here with no major role to play, but has been mentioned nevertheless to bear some resemblance to the original. However there is a mention of Bhima (of Mahabharat epic) meeting Hanuman, which again is a reference to the Puranic myth. y Finally, the trial and tribulations that Lachhaman has to undergo is very common to the hardships that the tribals undergo on a regular basis. Their nomadic lifestyles, their need for land and the regular movement due to afforestation and famine are a constant test on their endurance. In the entire adventure of Lachhaman, he comes across one hardship after another, which he overcomes nonetheless. It is this aspect of the story which has been assimilated well by the tribals. Please note that there are different versions of the aspect which led to Lachhaman leaving for his adventure, but I have mentioned only one. Some later versions have changed the seduction by Sita to that by Indrakamini, an apsara from Indrasabha – this could be again due to the acceptance of Ram and Sita in the present religious context. Once again, a classic case of assimilation and adaptation as per ones cultural milieu. What is surprising here is the change of roles. In the original, it is Sita who has to prove her innocence, but here it is Lakshaman. In the original, it is Ram who is the hero, whereas, in this, it is Lakshaman who is the hero and Ram is a poor shadow of what he is known for. Also, Lakshaman is a tragic hero, who suffers in silence and during his adventure too he goes through lot of trouble, but endures it all. This is the main aspect of the assimilation where every tribal member in the audience empathises with the character based on their own condition. Times have changed and there has been an improvement in the condition of the tribals – but the tale is recorded for the sake of posterity. It does not hurt sentiments, but gives way to debate. Such tales have been told and retold – this has not diminished the status of the epic or the central characters of the epic. Such adaptations only give us a window to the world of the particular culture – nothing beyond. People who indulge in politics with such tales are sheer cultural-opportunists who have nothing to do with literature. They are insecure and in such protests, they actually undermine the strength of such works of literature. So many versions, have not diluted the effect of such epics and awful politicization of the epic has not enhanced the status either. Discussions and debates are the hallmark of any progressive society. Unfortunately our illiterate political brethren are stone deaf to such discourses. In Thailand there are many versions of Ramayana, however the two most influential versions are known as Ramakirti (the glory of Rama) and Ramakien (Rama’s story). The storyline and the chain of events are more or less similar to that of Valmiki’s Ramayana – what is different here is the treatment given to some events and some characters. We will delve on those differences. The epic Ramayana seems to have had the most impact on the Thai culture to the extent that many in Thailand do not even acknowledge that the Ramayana is an Indian epic. They identify the epic with their ancestors and consider it to be their own. The impact of Ramayana is so strong that one can find paintings depicting scenes from the epic on the Buddhist temples and their dance dramas are generally based on Ramayana! y The banishment of Sita is very dramatic in the Thai version. According to this, the daughter of Surpanakha has grown up and is waiting to avenge the insult of her mother. She takes up service as a maid in the inner chambers of Sita and befriends her in due course of time. At one point of time, she induces her to draw a picture of Ravana, which is indelible (in some versions, it comes to life in Sita’s bedroom) and forces Ram’s attention. Ram is enraged and orders the killing of Sita, but Lakshaman leaves her in the jungle. y The birth of Sita too is different here. According to this version, when Dasharath performs his sacrifice, he receives a rice ball (not the rice payasam, as in Valmiki’s version). A crow steals some of the rice ball and gives it to Ravana’s wife, who eats it and delivers a baby girl, who according to a prophesy, would be responsible for the death of Ravana. Ravana then throws the baby Sita in the sea, but the sea god protects her and gives her to King Janaka. Though this is different from the original, there is a commonality in the idea of Sita being Ravana’s daughter with many other Indian versions. y Another important aspect of the Thai Ramayana is that it does not focus on the emotional aspects of Ramayana – longing, pain, separation, etc. as is the case with many Indian versions. The Thai version focuses more on the Yuddhakanda, or the war portion and the abduction of Sita. The descriptions of the battle scenes along with the techniques, the weapons find an elaborate mention. According to scholars, this is due to the fact that the early Thai history is full of war and strife and the entire focus then was more on survival. The same has found focus in their rendition of the epic. Another classic case for assimilation of the epic. y In the entire epic, though Ram is an incarnation of Vishnu, he is shown as subordinate to Shiva. Also, he is depicted as a human hero and not the godly avatar. Further, the Thai audience enjoy the character of Hanuman more than that of Ram (a far cry from any of the versions being discussed). In the Thai version, Hanuman is neither a celibate nor as devout as in other versions. 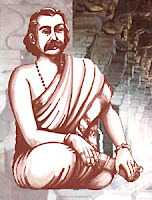 Rather he is shown as a mischievous element and quite a ladies-man, who doesn’t think twice before peeping into the bedrooms of people during his maiden visit to Lanka, which would be a taboo for any of the Indian versions. y Finally the character of Ravana too is different here. In the Thai version of Ramakirti, Ravana is admired for his learning and his abduction of Sita is seen as an act of love and is not looked down upon, even if she is someone else’s wife! Thai audience are impressed by Ravana’s sacrifice of his people and kingdom for the love of a woman. His dying words are a subject of a famous love poem, written during the 19th century. The death of Ravana is a sad event, and not an act of celebration as in the case of Valmiki’s version. This might be sacrilegious to many, but this has to be seen in the light of the fact that the Thai’s like their characters as humans, who are a combination of good and evil. They don’t believe in ‘perfect’ characters like the ones created by Valmiki, but like them with a blend of human emotions which range from love, sacrifice and a bit of mischievous devilry! According to AK Ramanujan’s essay, the Jain texts disregard the fantastic elements of Valmiki’s version of Ramayana. Here the epic starts with the raising of doubts on the extravagant parts of the epic – how could monkeys vanquish a strong and intelligent Ravana, how could someone like Kumbhakarna sleep for six months, etc. The Jain version does not start with the introduction of Ram, but with Ravana. It talks about Ravana and his greatness and the fact that he was a devotee of the Jain masters. During one of his great siege, he comes to know that he is destined to die because of a woman, by the name of Sita. Later he meets Sita, abducts her and tries in vain to win her favour, but does not and is killed in a battle that follows, as is the original version. In some other texts, Sita is Ravana’s daughter, but Ravana does not know about it and later she is responsible for his death. Another important aspect of the Jain texts is that it is not Ram who kills Ravana, rather it is Lakshaman who kills Ravana. This is because Ram is an evolved soul and was in his last mortal birth and thus cannot commit any crime. It was thus left to Lakshaman to do so. Another very important distinction of the Jain texts is that their version is devoid of the elements of fantasy. There are no miracles and no acts of disbelief and the reason is that the Jains consider themselves as rationalists and are not prone to such extravaganza which is unbelievable. Their heroes can be heroic, but not unbelievably so. Further, the idea of Ravana with ten heads has been explained differently, rather rationally. According to the Jain texts, when Ravana was born, his mother was given a necklace with nine gems, which she put on Ravana’s neck. When she did so, she could see his reflection in the nine gems and thus she named him “Dasamukha” – ten-faced. Further it also goes on to explain, that the monkeys were not really monkeys, but a clan of ‘celestials’ who had a monkey as their emblems on their flags. Some versions say that Dasharatha had four wives as against Valmiki’s version of three wives. Further, some versions even say that Ram had four wives, Maithili (i.e. another name for Sita) being one of the wives. This aspect of Ram is contrary to any of the other versions across the world. Further, after Rama abandons Sita, she renounces the world and becomes a Jain ascetic, again a different ending for Sita, but something that the Jains can understand and relate with. There are many more differences which are beyond the scope of such an article, so I have highlighted only a few of them. The idea is to impress upon the fact that the text has reached out to a wider audience only after it has been made understandable within a cultural or a social milieu. If not done, then the text would be that much more alien to a group of people as the life of Archies (from the famous Archies comics) to a group of youngsters from a remote village in the district of Bolangir, Orissa, about 30-40 years back. 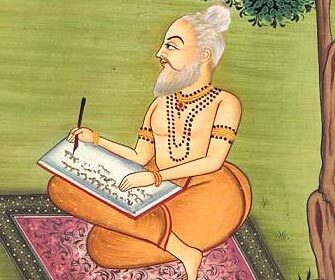 Ramayana is an epic written by Sage Valmiki. But as is the case for any work of literature, it undergoes changes and adaptations. In oral tradition, the characters undergo a transformation based on the orators understanding and his/her own personality and preference. The same is the case in writing too. In such a scenario, it is quite understandable to find different versions of Ramayana based on the writer’s cultural upbringing and milieu. Just as every generation has its own take and preference, so does every writer who is re-writing the epic for his/her audience. This adaptation only leads to a newer audience which associates itself better to the epic and thus starts relating to the same. The original English movie “Sound of Music” has seen so many Indian adaptations – be it Gulzar’s “Parichay” or the different versions in Bengali cinema and many others, besides the stage adaptations. Each took it on itself to make changes in characters to suit the understanding of its audience and the cultural setting. Same can be said about Shakespearean plays and many short stories by O’Henry or Dostoyevsky or Maupassant. Closer home, we have seen different versions of Saratchandra Chatterjee’s “Devdas”, of which I have seen at least four Hindi versions and two Bengali versions myself! 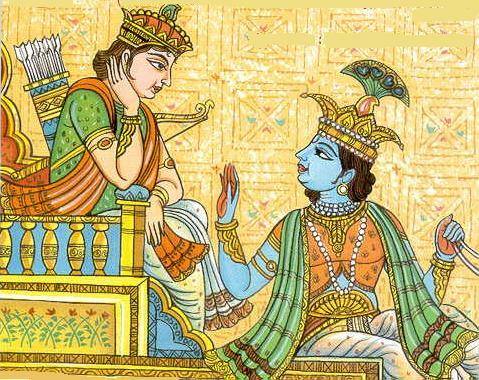 Ramayana is no different, except that its age has given it more versions than any other epics. Valmiki’s Ramayana is considered to be the oringal and all other versions are thus meta-Ramayanas. However, in South India, Kamban’s Ramayana has given rise to other versions like that of Telegu and Malayalam versions. Needless to say that Kamban’s version has been close to the Valmiki’s version with a minor difference. In Valmiki’s version Ram was not a god, but a human form of god who took birth on earth and ‘died’ a mortal. He was an avatar of Lord Vishnu who took the human form to eliminate the evils of earth and depart once the objective was achieved. However, Kamban’s influence was of the Tamil Bhakti movement and in his version, Ram was a god on a mission to eliminate evil from earth. Kamban also uses a lot of folk-motif in this rendition of the epic, again not found in Valmiki’s Ramayana. In a folk-version of the Kannada Ramayana, the entire Ramayana is Sita-centric. The epic opens with Ravana (Ravalu, in this version) and his wife Mandodhari pining for a child. Here after a lot of penance, Ravalu and his wife are given a mango to share equally, but Ravalu ends up eating the whole mango with just the seed left for his wife. With a twist in the tale, it is Ravalu who ends up conceiving Sita and Sita comes out of his nose through a sneeze (in Kannada, the word Sita means ‘he sneezed’). Later he leaves Sita in King Janak’s field where she is found in a furrow (once again, in Sanskrit, Sita means ‘furrow’). The epic moves on, but at every step, the epic returns to Sita, her birth, her marriage, her abduction, saving her from Lanka and then again her misery, the birth of her children, etc. This return to Sita every now and then is a far cry from many versions which is very Ram-centric and this again could be due to the orators focus on the state of women in the culture he belonged to. According to A K Ramanujan, the birth of Sita from a male could also be a case of “male-envy of the womb and childbirth, which is a frequent theme, in Indian literature, and an Indian oedipal theme of fathers pursuing daughters”, which is not alien to Indian mythology. According to a Kannada version, Ravana had molested a woman in his youth and she had vowed vengeance and is thus reborn as his daughter leading to his death. This we see that this version has taken a lot of liberty on many a count from the original Valmiki’s Ramayana. The richness of any literature lies in its ability to get adapted. The rigidity of any epic will only alienate it with its potential audience and that will be its greatest failure. If Ramayana is still read and told in India, then it is because of its ability to touch every generation through its adaptability. This is not the case with other cultures like the Egyptians and the Greeks, who don’t read their mythology as we do in India. You will find Indians with names like Ramkrishna, Lakshmi, Vaidehi, Bharat, etc. But have you found any Greek with names like Zeus, Adonis and Aphrodite or even Hercules and Atlas? Would you find a Thor or Odin or Loki in the Scandinavia today? It is the adaptability which enables such assimilation. 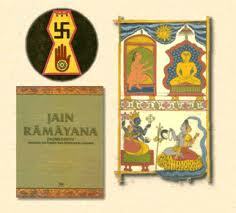 Next we will discuss the Jain version of Ramayan. It is very tough to categorize A K Ramanujan (AKR). He was a poet, an author, translator, folklorist, playwright and a scholar. He was educated in Mysore University and was a Fullbright Scholar at Indiana University. He was also a lecturer at M. S. University of Baroda for about eight years before moving on to US, where he taught at many US Universities, like Harvard, Michigan, Wisconsin, etc. He was honoured by the ‘Padmashri’ by the Government of India besides the number of accolades that he would have received during his life time. He breathed his last in 1993. He was also credited for compiling folk-tales from across the country and categorizing them according to topics and analyzing them according to the cultural milieu. It’s a seminal work which is today considered a reference point in the study of folk-literature. “Three Hundred Ramayanas: Five examples and Three Thoughts on Translations”, written in 1991, is a seminal work on the different versions of Ramayana in our country and abroad. The many diverse versions give it a local flavor and its assimilation in the said culture. But just as India is different every 15kms you travel, so is the interpretation and treatment of the epic. If it is impossible for one to read all the texts in one’s lifetime, then this essay allows you to peep into different versions which give you a view of the diversity in each, maintaining the unity with the original. Ramayana is written in many of the Indian languages, viz. Hindi, Bengali, Marathi, Gujarati, Tamil, etc. besides many foreign languages like, Malaysian, Sinhalese, Balinese and Thai amongst then being the prominent ones. In Sanskrit itself, there are about twenty-five versions available. 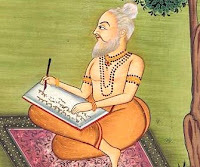 The main works compared by AKR in this essay are that of the Ramayana written in Sanskrit by Valmiki, the original author of the epic, Kampan’s Ramayana in Tamil, Bengali Ramayana by Krittivasa, Ramayana in Jain texts and the Thai version of Ramayana. The essay brings out the major difference in each of the works and at times also goes on to explain the reasons of difference and how cultural and geographic outlook shapes the changes in the personalities of the central characters. The said essay was included in the B.A., History syllabus of Delhi University in the year 2006. ABVP, the youth wing of the BJP sought banning of the said essay as it hurt the religious sentiment of the majority and termed it ‘blasphemous’ and ‘anti-Hindu’, besides many other things not worth mentioning. In 2008, the Delhi High Court directed a four member committee to give its opinion on the inclusion of the essay in the syllabus and the committee gave a 3-1 verdict in favour of inclusion of the essay on the merit of its academic value. The DU Council however, ignored the recommendation of the Committee and in October 2011, decided to bend its knees to the demand of the ABVP and banned the essay. The issue is deeper than what it seems, not surprising though. It is less to do with anti-Hindu and blasphemy, and more to do with politics – which is the tragedy. The academia has succumbed to the hegemony of politics. This might not have happened for the first time, but that is hardly a solace and neither should it be. One of the reasons of raising the issue is that the panel which decided on the inclusion of the essay had Ms. Upinder Singh, the daughter of PM, Dr. Manmohan Singh. The move by ABVP was more to embarrass the ruling party than anything else. To avoid another embarrassment for the PM (amongst many) the DU council came to his ‘rescue’ by simply ‘dropping’ the essay as against ‘banning’ it. In all this politics it is the students who actually stand to lose. Besides being an issue of academic freedom, it is also a case of an effort to control education by a bunch of goons. When illiterates and goons who have nothing to do with academics decide what to teach and study in temples of education then the society is going nowhere except down the tube. Delhi University is not an exception – sometime back we had seen the dropping of a book in Mumbai University sought by the student wing of the Shiv Sena. The Academia protested but nothing worthwhile happened. In erstwhile Communist Russia and many other societies and cultures, we have seen the banning and systemic-stymying of literature. This stifling of debate will lead to the growth of regressive mindset of a supposedly progressive society. Any culture or progressive societies have to be open to debate and what has been discussed in AKR’s essay is the mindset of different cultures and their views of the epic, which have been written hundreds of years back. Can the Tamil version of Ramayana be banned or can Krittivasa’s Bengali version be banned? The tribal version of Ramayana is a far cry from Valmiki’s Ramayana, but nobody has sought for a ban on that, then why the essay which critically analyses the said versions. The essay by AKR is about 25 pages of sheer literary genius. In the forthcoming articles I will take up some of the well-known Ramayanas and discuss the difference and the reasons for the same. While doing this, I will be leaning heavily on the essay to bring the work of literary genius to all my readers, which some wayward elements are trying to sabotage.